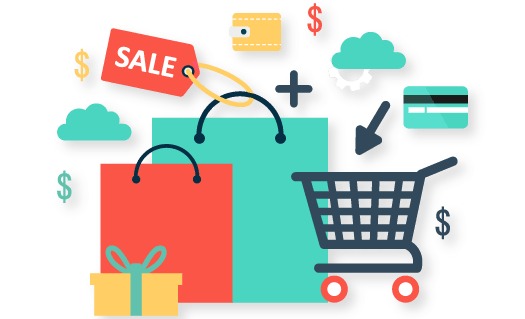 Sell your products online effortlessly with your very own eCommerce website and online store! Developing the latest professional features and aesthetically pleasing websites since 2008. 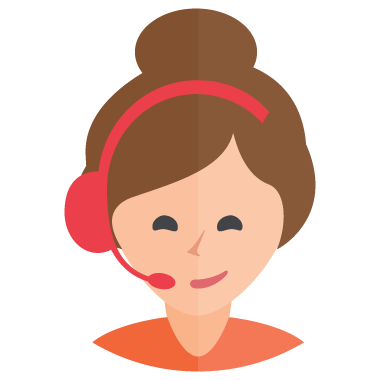 While we aim to always deliver the best user experience to you, with our eCommerce solutions we want you to achieve the same for your customers as well! 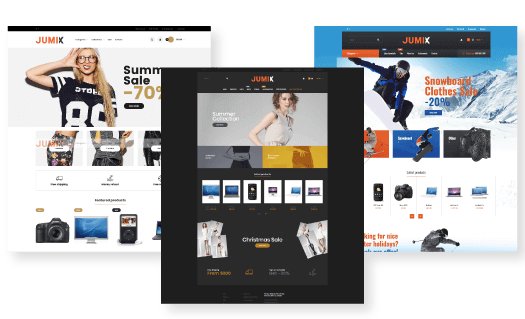 Your customers will be greeted with a beautifully designed homepage when they visit your eCommerce website. Giving your potential customers the best first impression of your business. As you will be using your admin panel very frequently, in fact, every day. 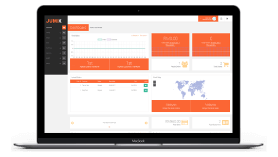 Therefore, we’ve made it convenient for you and developed the best admin panel for you to navigate and control your eCommerce website. 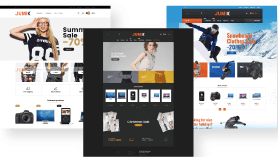 Like all major eCommerce websites, your customers will get to add items to cart and continue browsing simultaneously and check-out whenever! While you might want to remarket your customers, we have plans that covers Auto Follow-up Abandoned Cart, which can boost your online sales by 90% as we can recapture those who abandoned their cart. Did you know 70% of website visitors browse on their mobile devices? 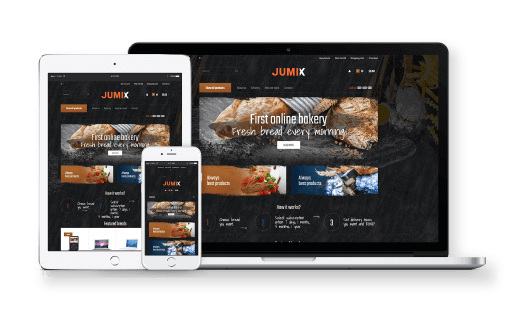 So, we made sure you can capture every single one of these visitors by providing you a responsive web design that suits all devices of all sizes. Our eCommerce system is compatible with most payment services, including payment from local banks, overseas, credit and debit card payment. E.g., VISA, MASTERCARD, AMEX, FPX, iPay88, MOLPay, eGHL, PayPal, Billplz, Alipay and many more. For a full list of supported payment channels and comparison of payment gateway providers, find out more here! Affiliate Program Let your customer become an affiliate to promote your products and earn commission. Auto Related Product Automatically let system decide the related products/you may also like products. Bulk Discount Set a lower price when customer purchase a higher quantity. Eg. 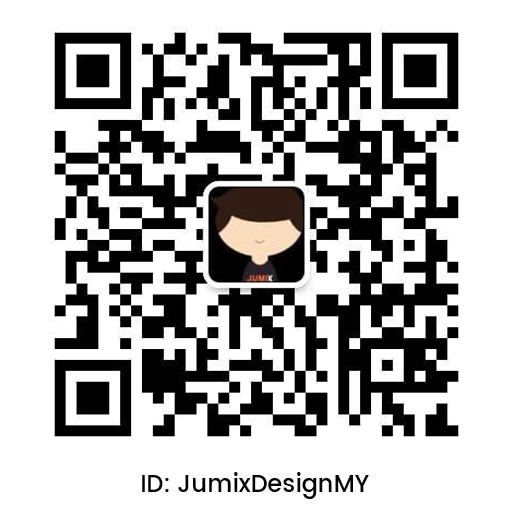 Normal price RM100/pcs, purchase 10 or more at RM90/pcs. Coupons Apply discount coupon during checkout and in cart (Percentage or Fixed Amount). Customer Group Pricing Set different pricing for customer in different group. Eg. Normal price for default customer group, lower price for VIP group of customers. Customer Report A report section for your list of customers and their purchase history. Gift Voucher Customers can purchase gift voucher for their friends which can be used as a store credit later on. Guest Checkout Your shop visitors can checkout without registering an account. This feature can be enabled or disabled. Low Inventory Alert When a product is in low stock quantity, your admin panel will alert you about them. Multi-Currency Our system supports multiple currencies. 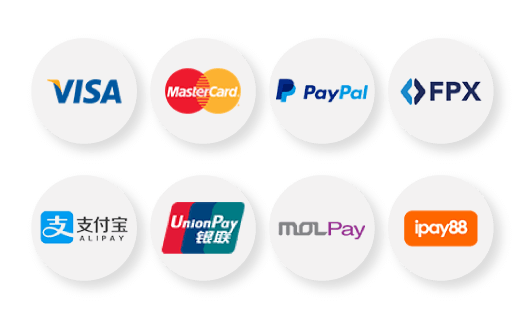 Multiple Payment Methods Our system supports many different payment methods ranging from Cash on Delivery, Bank Transfer, PayPal, Credit Card and Payment Gateway like iPay88, MOLPay and WebCash. Multiple Shipping Methods Free shipping, flat rate and set different pricing for different location or geographical zones. Newsletter Newsletter sending system for you to send promotional or updates email to all your customers. Order Report View the list of Order report in a glance. Product Options You can set multiple product options for customers to choose, eg. Color, Size. Product Rating Let customers rate the product from a scale of 1 to 5. Product Report View the report of which products are best sellers according to the quantity sold. Product Review Let customers leave product review and testimonial on their shopping experience. Can be enabled or disabled. Promotional Banners Insert promotional banners on header, sidebar or footer to stimulate more purchase. Reward Points Let your customer collect reward points on each product purchase which can be used as a discount in future. 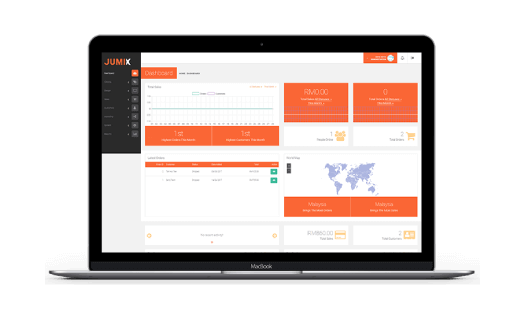 Sales Report Track your sales by viewing sales report, can be filtered by duration, status and customers. SEO Friendly Our system is SEO Friendly. We have SEO friendly URL and you can set your own Meta titles and descriptions. Slideshow / Sliding Banner Homepage support slideshow or sliding banners to enhance the overall look and feel of the website. Store Credit Give store credit for customers in future purchase. Very useful when customers are using manual bank transfer which has extra balance. You can give the balance in the form of store credit. Tags Add product tags to let your customers find their desired products easily. Tax System Set tax percentage such as GST +6% if you want. Tracking Number Sending System Type in your parcel tracking number and it will automatically be inserted in your email template to notify customer. Now is the perfect time to sell online and triple your profit! Let Action Speaks!